In response to the letter about the Battle Health Pathway (BHP), Battle Town Council would like to take the opportunity to publicise our plans for the Rec more widely. The BHP, a Battle Local Action Group project, has been supported by the council since its inception. Indeed, any plans for the Rec during the past four years have taken the route of the proposed pathway into account. The BHP project requires specialist technical advice and a great deal of money to build and the council is working with the project group to secure funding to build the whole pathway as it has been planned. The council is fully behind this project and has committed £10,000 per year for three years towards its provision. The same amount is allocated to a replacement, enhanced Pavilion on the Rec. The council has also committed to installing outdoor gym equipment once the BHP is in place. Although the junior football pitch was already in use, it needed to be levelled, so this work had to be completed before the Health Pathway could be built. The levelled area will be great for kick-abouts for youngsters and their carers. It will be used by the newly-formed over 50s walking football group and for the (mentally and physically) disabled to enjoy playing team games, too. Youth groups will be able to enjoy playing rounders and other outdoor activities on a more even surface. It will also benefit local groups who put on community events. 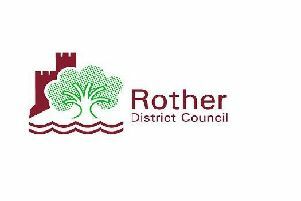 The cost is relatively small, given the increased potential for its use, and has been part funded by a Rother District Council Community Grant. The council is working hard to ensure that all residents and visitors to the town are able to enjoy our wonderful Recreation Ground. Castle-themed play equipment has been installed for younger children, with springers and a boat for imaginative play. An aeroskate has been installed by the swings for older children to enjoy. Following consultation with the community, an outdoor table tennis table, a pétanque piste and a youth pod are currently in various stages of action. These improvements are the result of donations and grants. The Health Pathway Group are constantly working to raise funds and support with this from your readers would be most welcomed.